When it comes to your industrial construction projects, our goals are simple: provide you with the best installation possible and minimize plant interference. 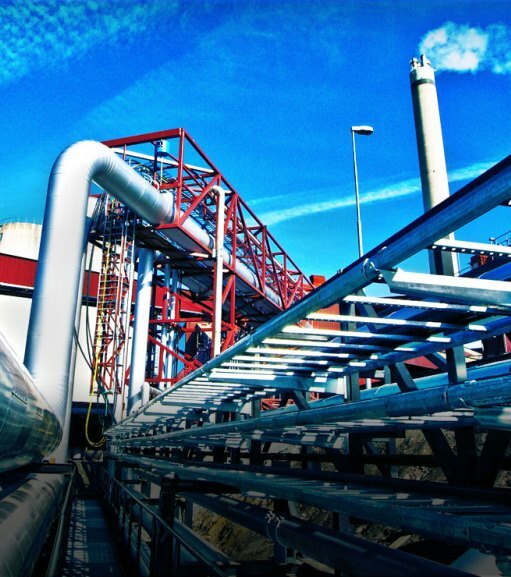 Together we will help you design, build and maintain industrial and process piping of every type and complexity for a wide variety of clients. Whether you are working on a new construction or an addition, our focus is to have a quality system installed safely on or before the scheduled deadline. Our highly-experienced and creative team of professionals accomplishes this through BIM design and modeling, in-house fabrication and scheduling that integrates with your plant culture. Whether you are looking for a partner for a project or maintenance services, Northwest Mechanical can deliver the quality and professionalism you deserve. Our Northwest team has a long history of delivering strong results for our customers. For example, the brand new KraftHeinz Davenport facility was recently named the 2018 Plant of the Year by Food Engineering. Northwest was honored to have the opportunity to work on this project with Gray Construction. Check out more of our featured industrial projects in BIC magazine.